Greetings! I am an Angel Channeler and Psychic Medium. I have always believed in angels and the 'afterlife'. When I do readings I am given information about the past, present and future. Readings include guidance on career, finances, life path, love and relationships. I receive a great deal of information during readings and I always do my best to make sure that the outcome of the reading is both a meaningful and an enlightening one! Through my work I have met some of the most wonderful people from all walks of life who have made me realize just how significant my Angel connection is becoming. I love my Angel connection and helping people through readings which I consider to be a privilege. I found the reading with Cynthia to be excellent! I have had a lot of experience with psychics, over the years, and Cynthia is, as they say, "The real thing!". Five minutes with her is worth half and hour with many others. Thank you so much for your help, Cynthia! I had two readings with Cynthia in August 2016. Both times she gave me the same exact answers. I wanted her to be wrong- several other trusted readers had given me the answer I wanted to hear. In the end- SHE WAS 100 PERCENT RIGHT. About everything. Literally I could go down the list of things that she told me and say "correct" about every outcome. I am blown away. In the end, I am so happy she was right, but I did not know I would feel this way seven months ago! She is amazing!! TY!! Cynthia is remarkable! Her readings have been both accurate and informative! I have also attended her Angel Channeling classes wherein she has become a great mentor to me. She has assisted in helping me develop my own psychic medium abilities. as a result, I have begun to read clients of my own. Cynthia has a peaceful and loving manner and I always feel uplifted and as if I've been on a restful vacation after having a reading with her. Warmest wishes, Dearest Cynthia! I just wanted to thank you for the awesome reading last week. The reading was very helpful as well as very healing. I am now less doubtful of what guidance/visions I am given. The session was a huge confidence builder for me. It has helped me to step out of the box that I have been in for way too long. I still have some work to do before I can say "I'm there", but with your reading it has helped me to build my confidence in my gifts and use them as they are meant to be used: to heal. Thank you! I have worked with Cynthia Silk several times over the last year. Each time its involved business. I am an entrepreneur. This last time I have to say I was absolutely shocked at how specific Cynthia was able to get. She literally solved a complex problem that no one not even not even our Phd's could solve. Again what was amazing was this unique skill set of hers: true psychic, business minded, problem solving, huge initiative and a nurturing interest to follow up. Thank you Cynthia! Jim L.
I just got a reading with Cynthia and had to write about this Awesome Experience!!! First of all, I have to say she is professional and genuine. I was also like many of the clients here, blown away with the information that she gave me. She was able to tell me things about myself that no one knows, other than me and I certainly didn't have to tell her anything. I would highly recommend a reading with her as she is able to truly connect with The Other Side!!! 500 characters is not enough to truly describe my reading with Cynthia. After a year of ignoring my angels guidance to see Cynthia I finally threw my hands in the air and went for a 30 minute reading that turned into an hour. Cynthia was amazing. She knew about dreams I had as a child and so many other things that wouldn't be possible without my angels. She is also full of positive and warm energy which means a lot to my intuition. I will definitely be seeing her soon. Lots of love! Loved my reading from you. Just validated what my heart and soul already knew. Will most likely get another reading soon to delve deeper. You are amazing. Hi Cynthia!!! I just wanted to thank you for an extraordinary reading. I had cried for a few minutes before in the way I do when I really feel the Angels. Now I know why. It was amazing. You connect in a way that similar to what I have experienced but your talent is amazing. You give me courage to grow, along with a beautiful reading. Thank you!!! Christie. Hi Cynthia! I just wanted to thank you for an extraordinary reading yesterday! The things that you knew were incredible and the information you shared about my brother may have saved him in many ways. You made references to things you could have never known about. I also wanted to tell you that pac man had very special significance to me regarding healing work. You are a beautiful, kind soul and a clear channel. You delivered the messages with compassion and clarity. Thank you! Cynthia is fantastic and amazing. She is very knowledgeable about the realm of the universe/metaphysical, and very accurate in her reading with me. Her ability to see what cannot be seen by others is quite astounding, and is truly a gift. Cynthia is also a wonderful person who is generous, considerate, and professional from beginning to end. 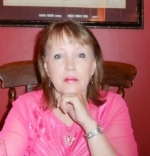 I would definitely recommend Cynthia highly to anyone who is thinking of getting a reading. I got my reading the other day and it was so right on the money - it was scary. I could have talked to Ms. Silk forever. We are so much alike. But the time went so fast but she gave me so much information - some I already knew but nice to have it validated. After talking to her even more was validated when I spoke with my family. She said my Archangel was Kam; my sister said my "make believe" playmate when i was young was someone named cammie! Thank you Cynthia, you are a true messenger of the Most High God, created to bring relief, love and guidance to humanity. I love you so much and want to thank you and all the angels that offered me guidance and assistance on my reading last year. Every message I received came to pass exactly at the time you said it and all you said will come, came on time. Thanks a million I will like to join your June class, but am in Dallas, can I join by Skype. Please let me know. I've gone to multiple mediums or channelers and Cynthia is by far the best that I've ever been to. I am a science major and was extremely skeptical of the process but I had an hour and a half reading as well as a past life reading with her and I can tell you she was 100% on target. Her reading will exceed your expectations because they are not vague at all and what she says is going to happen within a certain time frame really does. I highly recommend her to all my friends and to you too. Hi Cynthia! I have been meaning to send you an email and let you know how wonderful my reading was. I have listened to it a couple times now and get more out of it each time. I cannot thank you enough - you truly have a gift and I am glad I was able to experience and benefit from it. You have given me courage to move forward on projects we discussed and things seem to be falling into place miraculously. I hope all is well with you and look forward to see you again soon. Fondly, Dan. I consider myself most blessed to have known Cynthia for a number of years and applaud her talents which are extensive. She is amazingly gifted and I marvel at her knowledge and passion for her chosen path. The Angels that guide her are astounding and I have been the recipient of excellent advice - thanks Michael. If you haven't already had a reading with Cynthia, I strongly advise you to book one! Cynthia also showed me how to use a pendulum which I absolutely love using when needing clarity! I wanted to give an update since my session with Cynthia. During my angel reading she told me I would meet my soulmate and described his character and our connection. I met him in the time she predicted and his session with Cynthia also confirmed that he is the one she told me about. He is everything I need, want and more...He is truly my soulmate and I am grateful to finally meet the love of my life! As of Valentine's Day 2012 we are engaged and plan to marry this year! Thank you Cynthia! Thank you so much for the helping me find the validation and clarity I needed. You are truly gifted and a true blessing. Thank You Light and Blessings Shantel. Cynthia you are such a sweet woman and I just want you to know that. You made me feel warm and comfortable. I haven't been able to stop going over my Angels and the guidance you have givin me. Just hope you know you are a wonderful person and you are doing a wonderful thing. I hope one day I could possibly take the path you are taking and help others. You've answered a lot of questions and I plan on looking to you and my angels for further guidance on my journey and even my channeling journey. I was astounded at what she said my angel conveyed in regards to my love life. Looks like my soul mate is finally coming. In the meantime I will have fun with the 2 men mentioned prior to his arrival with the prospect that my soul mate will overlap with the 2nd man. This is going to be an interesting rollercoaster ride. One I'm eagerly looking forward to. Cynthia is a wonderful Lady and Angel channeller and teacher .She has been an amazing help to me and so many others. I love the clarification she gives and the encouragement . I highly recommend her ,she is very ,very specially gifted. To say Cynthia Silk is the real deal doesn't do her justice. After a reading with Cynthia, yes you will have accurate information, and much more. You will have a true sense that you are not alone in this world and that there are really angels looking after you and all you do. She is able to to give you something most readers don't, a new perspective on how the universe works. I have had several readings with Cynthia and I think she is wonderful! I would highly recommend her for a reading...she definitely cares about who she is reading for...very honest!